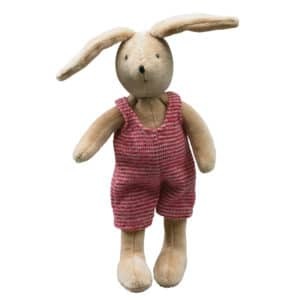 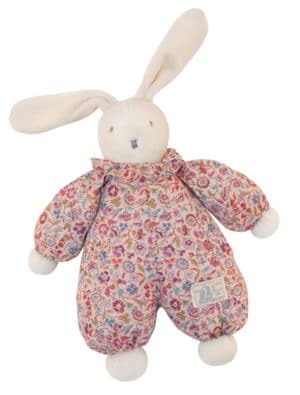 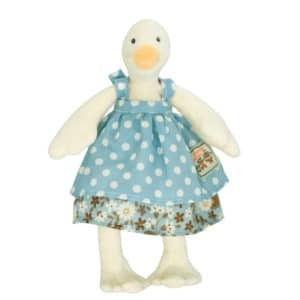 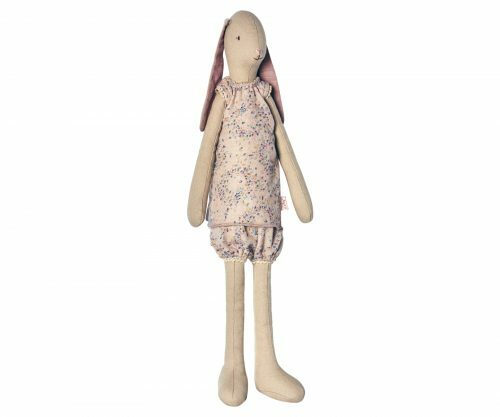 Dressed in a mushroom coloured floral top with matching pantaloons, this medium bunny is beautifully made from a sturdy cotton fabric. Her facial features are embroidered. 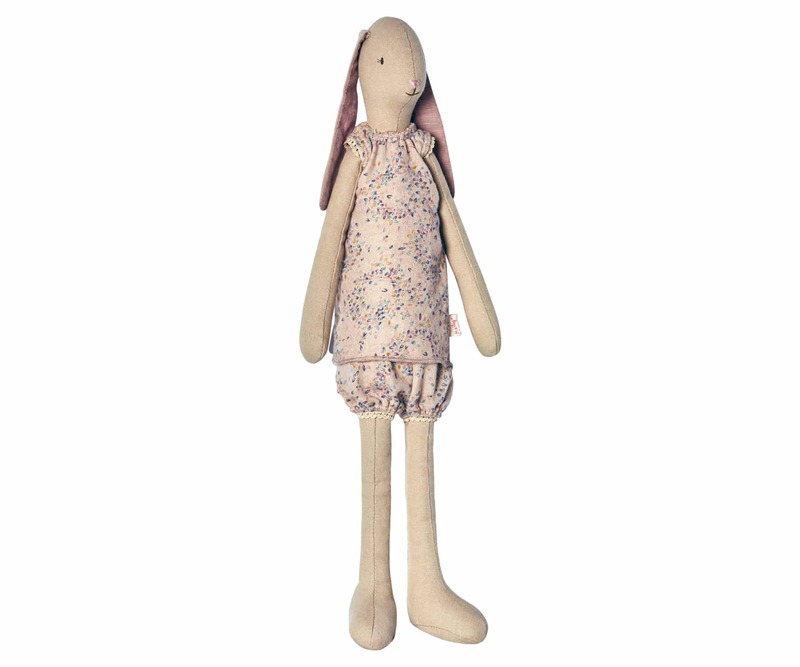 Clothing is removable.